Ocean Network Express and Hapag-Lloyd have concluded a Bilateral Strategic Feeder Network Cooperation Agreement, which has already started on the first trades. The collaboration is leveraging the unique strengths and competitive advantages of both companies and aims to provide the market with a superior feeder network. Under this strategic cooperation, both companies will share space on their feeder services. 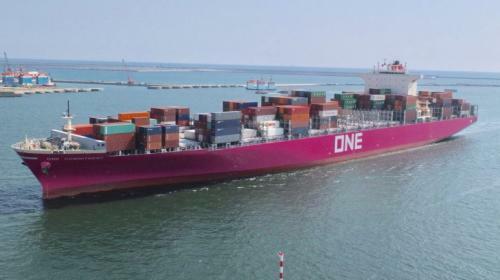 Ocean Network Express and Hapag-Lloyd have also already ushered in a new Intra-Asia service, the Bohai Feeder (BHX) in August and will further introduce a new Intra-Europe service, the North Sea Poland Express (NPX), in mid-October to further enhance their existing feeder network. As the first step, the cooperation will cover specific Intra-Europe (BAX, NBS, NPX, REX, SDX, ADX, LEX) and Intra-Asia (BHX, HAS, PID) feeder trade lanes. The collaboration has already started in the Intra-Asia trade in August and will commence in the Intra-Europe trade in October. The collaboration will be further expanded into other key areas in due course. “This new cooperation is another strong footnote to the existing bilateral partnership. We are convinced that together with Hapag-Lloyd, Ocean Network Express will continue to enrich our feeder network portfolio and provide more premium feeder service to our respective customers. Looking ahead, we are confident that the scope of this cooperation will be further broadened.” says Jeremy Nixon, Chief Executive Officer of Ocean Network Express. Ocean Network Express and Hapag-Lloyd also operate together within THE Alliance and cooperate on their Latin America, Africa and Indian Subcontinent trades.